As we left Bulverhythe we took one last look back towards St Leonard’s and Hastings. In the distance we could see Hastings Pier and Marine Court, the former a burnt out wreck and the latter a run down block of flats with peeling paint. What a pity it is that these two structures, which from this distance define Hastings, have more to offer from afar than they do up close. Hopefully repairs will be effected and all that will change soon. 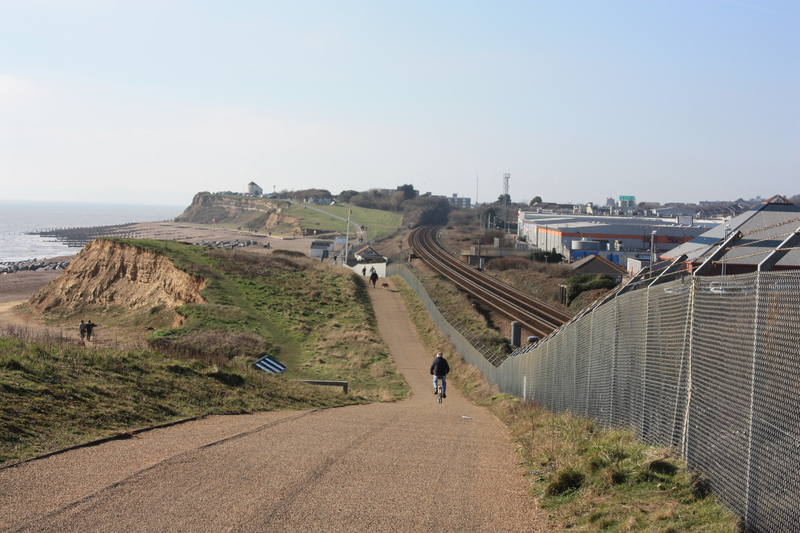 The route into Bexhill is along the Bulverhythe Coastal Link, a pleasant, rolling tarmacadam track which is shared by cyclists and walkers. In some parts white lines define which half of the track should be used by which type of transport. As ever, we found it very easy to drift from the walkers’ lane into the cyclists’ lane. The cyclists were very patient with us, especially the one that was trying to climb the steep part of the track, was brought to a halt by my wife, tried to balance on his bike while she moved out of the way, and then wobbled off before she could. He didn’t say anything or even give us a stare. In fact he even thanked us for moving back to the walkers’ side before cycling off again. What a polite inconvenienced man he was! 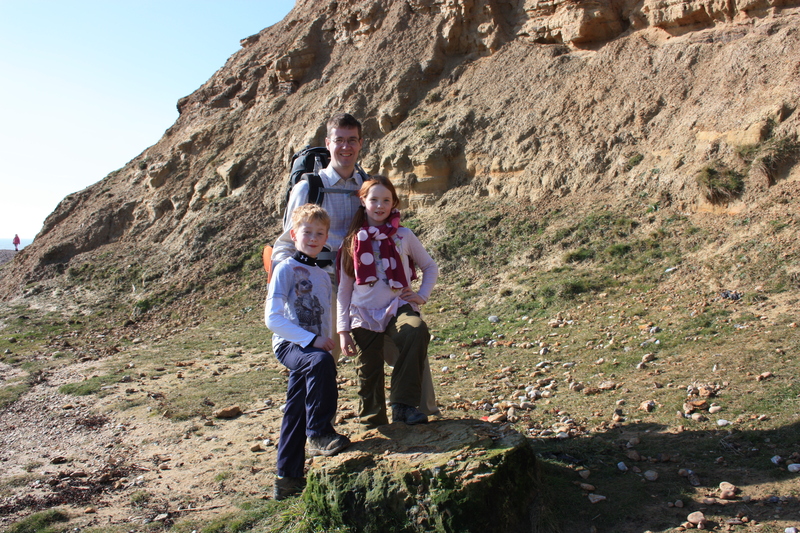 At various points there was access onto the beach, between the eroding cliff faces. We didn’t stop for long, but carried on walking, up Galley Hill and down again into Bexhill. 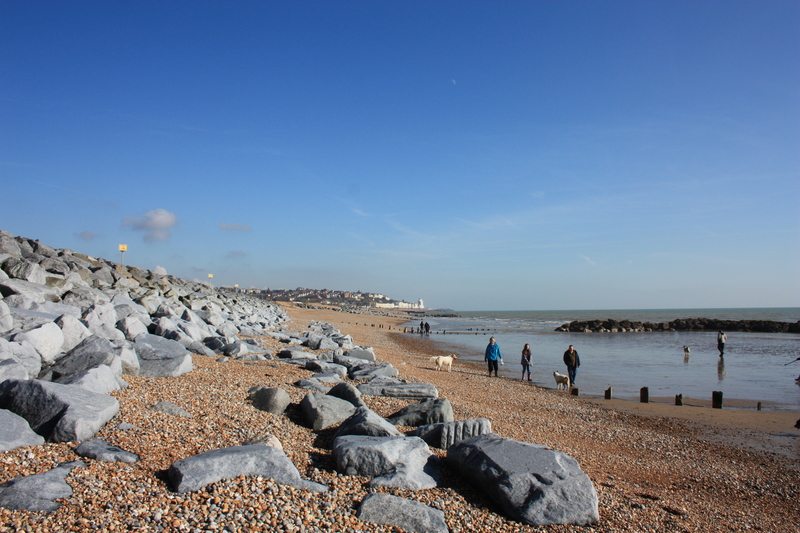 This entry was posted in East Sussex and tagged bexhill, bulverhythe, coast, travel, walking. Bookmark the permalink. Thank you! I’m very possessive about my camera and who gets to handle it with their grubby mitts!